Luminescent colors in both the black cotton sateen and the deep jewel tones make for a visually compelling version of a highly collectible pattern. Origin in Holmes County, Ohio, Amish community, c. 1930s, In nearly untouched condition retaining the fine quality and color of the cottons. Hangs vertically or horizontally if you choose to display it on the wall. 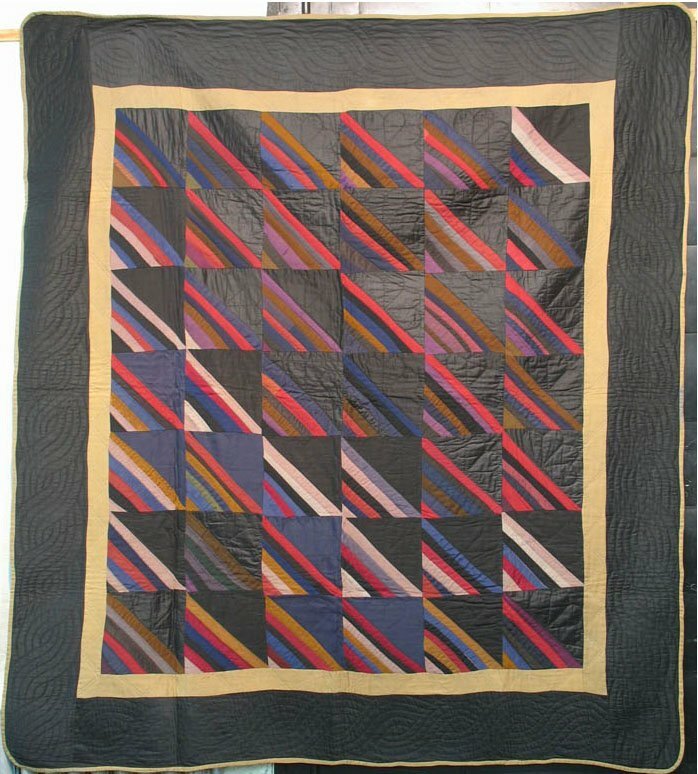 A quasi optical illusion in which the black triangles seem to advance or recede depending on how you view the quilt.